I’ve heard a lot of praise for Colorado wines, but until our recent visit, I had never tasted them. After visiting several wineries I am favorably impressed. In fact, setting aside the established wine regions on the West coast, Colorado’s wineries on the Western slope of the Rocky Mountains may be the under-the-radar stars of U.S. winemaking. I found more consistent high quality here than any other region we’ve visited. Increasingly when I visit wine regions in the U.S. the question I ask myself is whether wine lovers from afar have reason to try the local wines. Of course, the locals have good reason to support their wine producers, but with shelves in wine shops loaded with quality, affordable wines from established wine regions, why drink a $30 wine from Colorado if you don’t live there? Happily, since wine grapes pick up unique characteristics from the geography of their region, there is always the potential for originality if winemakers take care to nurture it. So what’s unique about Colorado wines? Their Bordeaux varietals (Cabernet Sauvignon, Merlot, Cabernet Franc, Petite Verdot and Malbec) tend to have a characteristic spice note that I don’t often find elsewhere. I call it coriander-laced black cherry and several wines I tasted here have it. Spice notes usually come from oak but I tasted it in wines with vastly different oak treatments including unoaked Cabernet so I suspect there is something about the soil or climate that explains it. At any rate, I found the Bordeaux-style wines to be elegant, fresh, and refined with good intensity but without the over-the-top ripeness or high alcohol that you might expect from the hot summers here. Winemakers told me that, in these high altitudes, the temperature drops significantly at night keeping the acidity in the grapes and moderating the ripening process. The climate here is generally conducive to growing grapes but poses unique challenges to winemaking. The weather is dry and breezy minimizing problems with mold and disease. In fact many vines here are ungrafted because, thus far, phylloxera has not been a problem. The elevation of the main grape growing region near Grand Juncion is about 4600 feet ensuring lots of sun exposure and cool nights to facilitate even ripening and acidity. But winters are too cold for many grapevines and crop loss can be significant with whole vineyards destroyed if winter temperatures drop too far. So growers are constantly searching for varietals and clones that will withstand harsh winters. Cabernet Franc is the hardiest of the Bordeaux varietals and it does well here so most wineries offer it as a stand alone grape. If you’re a fan of Cabernet Franc this is heaven. The hot summer days and sun exposure reduce the green vegetal notes that limit the appeal of this grape. But the varietal that probably wins the prize for winter survivability is Marechal Foch. This grape is an interspecies hybrid developed in Alsace, France in the early 20th Century specifically to survive cold winters, and several Colorado wineries make it. If you’re wine curious and enjoy big reds this grape is worth seeking out.The best we tasted was at Maison La Belle Vie. ( My review is here. )This was among the best of the wineries we visited—their whole lineup of Bordeaux varietals, Syrah, Marechal Foch and lovely dessert wines is top notch. Bordeaux varietals are the dominant varietals in the Grand Valley AVA with the occasional Sangiovese, Syrah and some experimentation with unusual varietals such as Marechal Foch and Lemberger. In general, I found the reds and rosés to be more impressive than the whites. We sampled Chardonnay, Sauvignon Blanc, Riesling, Gewurztraminer, Pinot Gris, Muscat and others. In general they made less of an impression than the reds. Although there are several regions of the state that make wine there are only two officially designated AVAs. 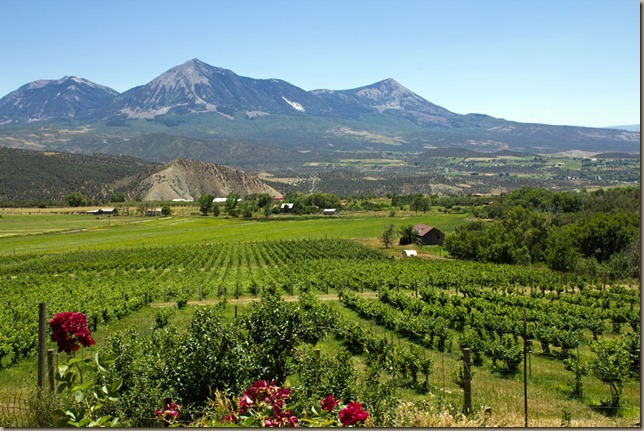 75% of Colorado grapes are grown in the Grand Valley AVA, near the Western Colorado city of Grand Junction. They have about 750 acres under vine. 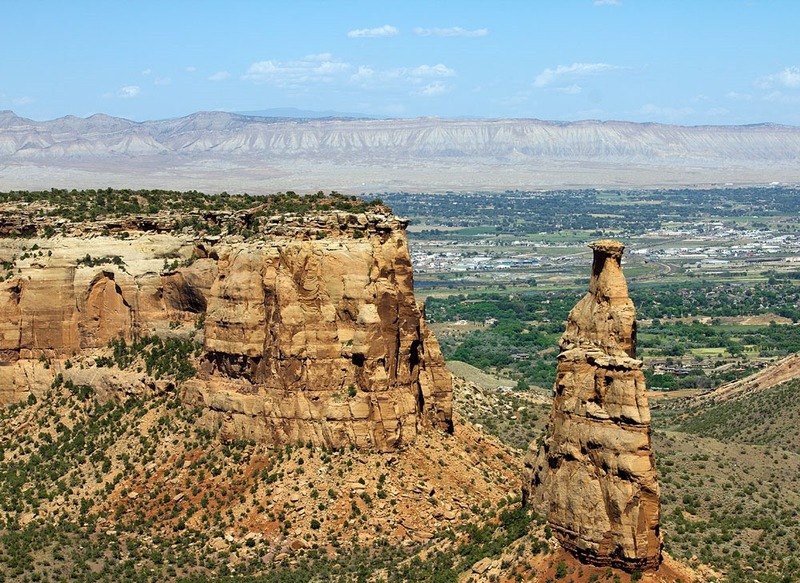 Grand Junction is a charming, small city that also features the entrance to the Colorado National Monument—think mini-Grand Canyon without the crowds. If you visit, don’t miss this natural treasure. But most of the wineries are actually in Palisades, a small town just a few miles from Grand Junction. Palisades is in the process of building its wine tourist credentials. At the moment, shops and restaurants are limited. 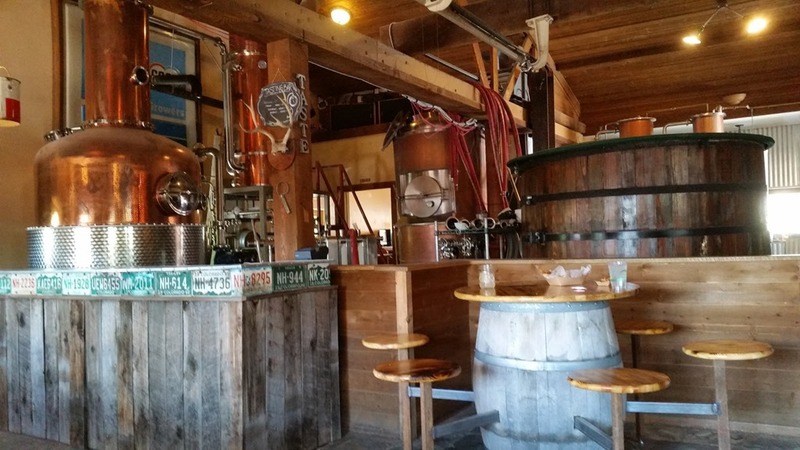 But if you tire of tasting wine, if that’s possible, stop by Peach St. Distillery for some artisan whiskey or a compelling “dessert tequila” and a free tour of their facility. The other attraction in this area is the fresh fruit, especially peaches. They are big, gorgeous and juicy. And it should not go without mentioning that wine tasting in this area is inexpensive. Most of the wineries offer a limited flight for no cost, and a taste of all their wines for a nominal cost. Bottle prices are usually $15-$20 although reserve and special offerings will be more as they are often in short supply. And if you like non-grape fruit wines, there are several here although I must confess I don’t enjoy them much. Although Grand Valley AVA gets most of the attention because of its size, a 90 minute drive East into the mountains will bring you to other officially-sanctioned Colorado viticultural region, West Elks AVA, anchored by the town of Paonia. The elevation is about 6500 feet, the second highest wine region in the world next to Argentina’s Salta province. That means only cool weather grapes will ripen. The Pinot Noir is excellent at Blackbridge and so is the Pinot Gris and Syrah at Stone Cottage Cellars. Terror Creek makes Gewurztraminer that brings to mind the Alsatian style of this grape, richly aromatic, viscous, with alcoholic bitterness on the finish, a style seldom made in the U.S. The wineries in this region are invariably small production with almost all sales occurring at the winery. If you’re fascinated by how elevation shapes winemaking and viticulture, there is no better place to study it than here. And while in Paonia be sure to have lunch at Living Farm café. It’s real farm-to-table, they own their own farm and have a real dedication to quality. As to the regional foods in Western Colorado, I already mentioned the peaches. Lamb is also plentiful and fresh and most restaurants feature it. The best restaurant we sampled was Bin 707 Food Bar, serving contemporary American cuisine using mostly local ingredients. The Lamb Tenderloin was delicious and served with imagination. Green chili is also a thing here reflecting the influence of New Mexico. Colorado-style green chili is made with more shredded pork than is common in New Mexico. It is served as a thick stew or as a sauce over enchiladas or other dishes. Everyone here seems to have their own recipe and you don’t have to go to a Mexican restaurant to get it—the best I had was at Main St. Café. But of course what’s a trip to Colorado without indulging in Rocky Mountain oysters. 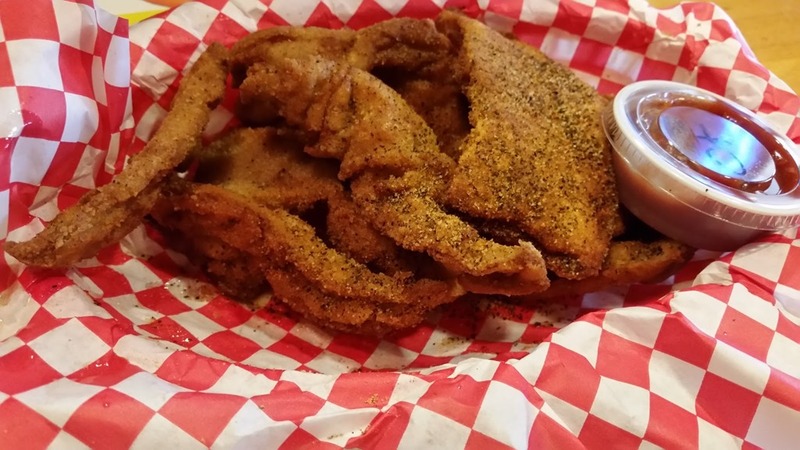 For the uninitiated, Rocky Mountain oysters are not seafood. They are bull testicles. But unlike other organ meats they don’t have a strong flavor. It’s a very mild, gelatinous flavor with slight gamey nuances. But don’t expect a gourmet experience. They’re most often peeled, sliced, pounded flat, coated in flour or a batter, and fried, and accompanied by cocktail sauce. In other words, bar food. As a new taste sensation it’s hardly worth tracking them down. But there is always some value in bragging about being nuts about nuts. For wine lovers and connoisseurs of testicles, Colorado is worth visiting and, if you can’t visit, order some wines and try them. And to follow what’s happening with Colorado wines, Colorado Wine Press is on the job. Cross posted on Edible Arts on 8/3/16.